iSculpture Gallery is pleased to present the solo exhibition “Journey into synthesis”by Wilhelm Heiliger that will be held at the headquarters in San Gimignano (SI). The Catalogue, printed by the Gallery, will be presented during the opening. iSculpture Gallery is pleased to offer its spaces to Wilhelm’s real yet fantastic works. We could ask ourselves what induces a gallery which deals exclusively with sculptures to present works that are apparently so far-removed from its usual proposal. The answer to this question lies in the desire to emphasise the importance of the relationship between shape and colour, concepts which are an absolute part of sculpture. The gallery also wants to open up to other forms of expression, to which alternative projects will be regularly dedicated in the future, highlighting once again the absolute non-existence of boundaries to beauty and art. Opening on October the first at 6.00 p.m. with the presence of the artist. iScultpture Gallery is pleased to announce to our collectors the new season opening of our two venues. We will be glad to welcome You! The exhibition by Mariano Fuga was also the occasion for the inauguration of our new exhibiting spaces in San Gimignano. The previous tower hall has been joined by three further rooms, for a unique display setting. You will be able to see more artists and more selected art works and the most important thing is that the gallery is today accessible from Via San Giovanni, 56, San Gimignano’s main street! This purpose was possible thanks to you, believing in our art selection and work; we want to thank you so much again. 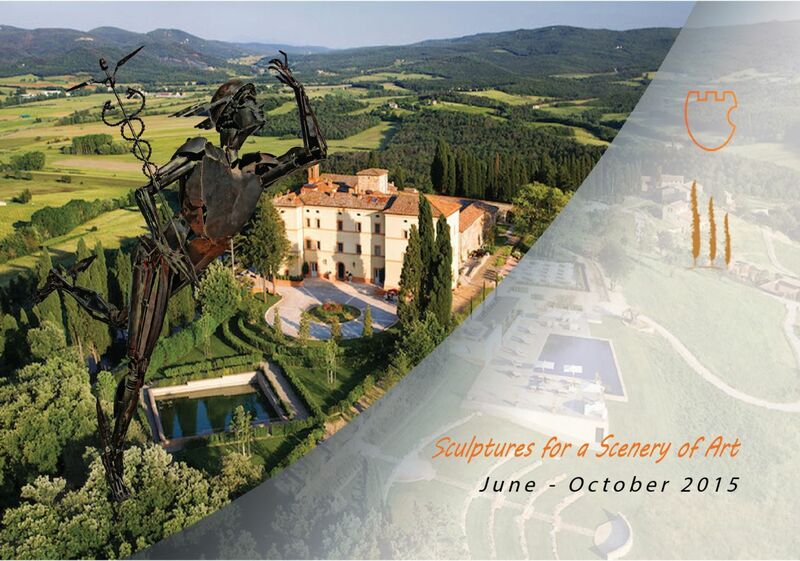 Sculptures for a Scenery of Art is the result of a collaboration between Hotel Castello di Casole and iSculpture Gallery, San Gimignano & Casole d’Elsa. Our aim is to pay homage to a landscape that is a work of art itself for its beauty and tradition, through a course of six contemporary art installations by six different Italian artists: Patrick Alò, Davide Dall’Osso, Mariano Fuga, Ivan Lardschneider, Gerald Moroder, Sergio Rubini… More information and pictures are available on our website. We hope that you will enjoy! Some days ago we were in Milano to attend the Salone del Mobile, thanks to the Furniture firm “Isacco Agostoni“. Having made its first appearance in 1961, Salone del Mobile is the global benchmark for the home furnishing sector that is designed to promote Italian furniture and furnishing accessories on the export market. The Catalogue with iSculpture Gallery at Salone del Mobile 2015 is available – Browse it online!